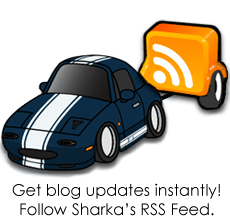 Sharka’s alternator has been getting weaker and weaker lately. And it’s not that strong to begin with. 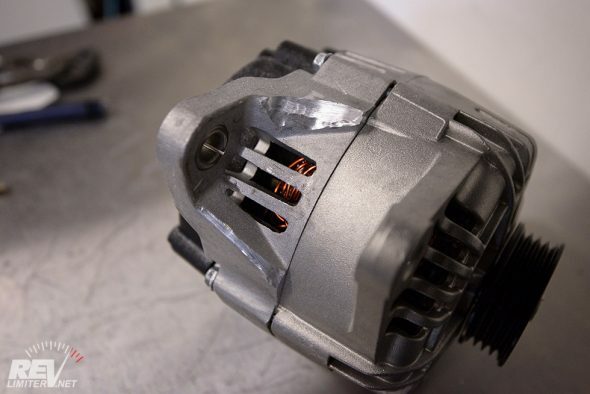 A new manual trans NA8 alternator is only a 65 amp unit. Auto trans cars got 70 amp units. That’s… pitiful. Even in stock form, if you pull up to a traffic light with your A/C, wipers, radio, and headlights on, the system struggles to keep up. Voltage slowly drops and the lights get dim. No good at all. Add a pair of huge fans, brighter bulbs, and any sort of stereo and the stock alternator does an even worse job of keeping things running. 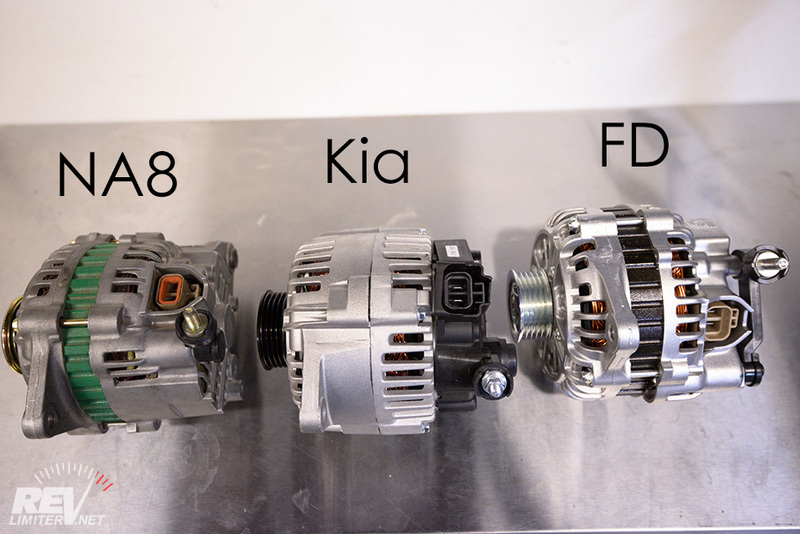 There’s a number of threads on Miataturbo suggesting that an FD RX-7 alternator fits in the NA. 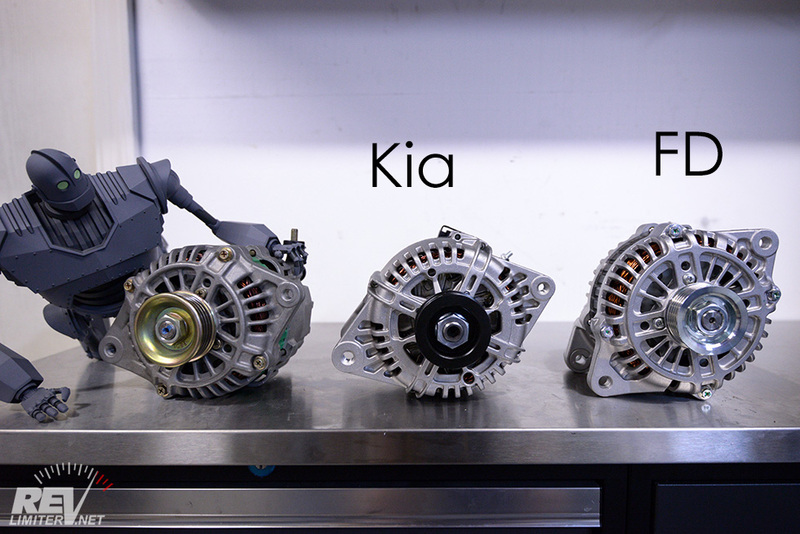 A few other threads suggest that a Kia alternator will fit. But there’s no complete info. Nothing concrete. No spoon feeding. And dammit, I wanted to be spoon fed. I didn’t wanna guess about which alternator might or might not be better than stock. I wanted… this blog post. I just didn’t wanna write it. So here it is. All you ever wanted to know about hanging a non-stock alternator on a BP NA/NB engine. First, the very most important info – what the heck are these? The FD alternator is from a 1.3L 93-95 (in the US) Mazda RX-7. 100 amps, 5 groove pulley. 2 wire terminal that plugs into the NA socket and the same size hot post. 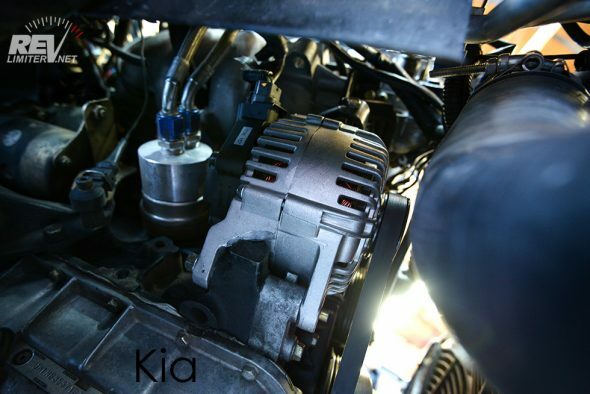 The Kia alternator is from a 99-01 1.8L Kia Sephia or a 00-04 Kia Spectra. 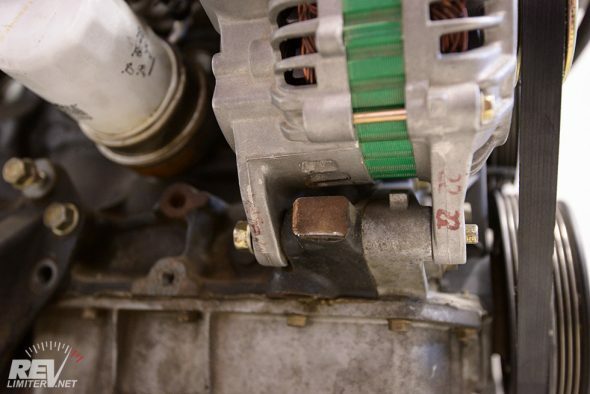 It claims to be a 110 amp unit and has a 4 groove pulley same as the NA. 2 wire terminal and a tiny hot post. The Kia info took me about 5 hours of research to figure out. I was still unsure when I hit the Buy button. But I’m happy to say that it does indeed fit. Both fit. WITH SOME WORK. I thought having some pix of the stock alt in its natural habitat would be helpful. 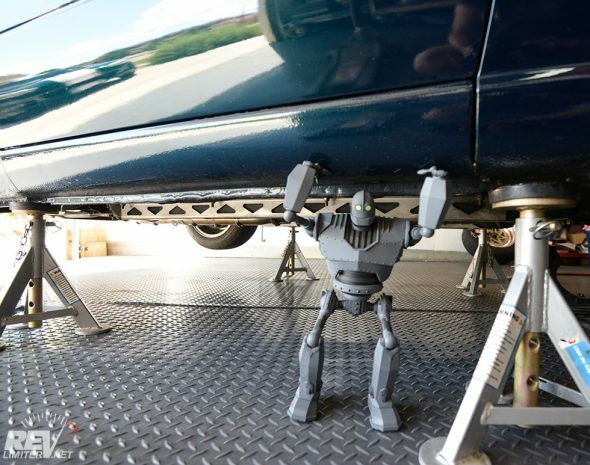 These are easy to refer to for mounting, position of terminals, and clearance. Seemed better to take these pix than be lazy and not. And I had this spare BP engine just sitting there. Why not give it some use? Stock on a new belt. And no one was surprised that it fit. ha! 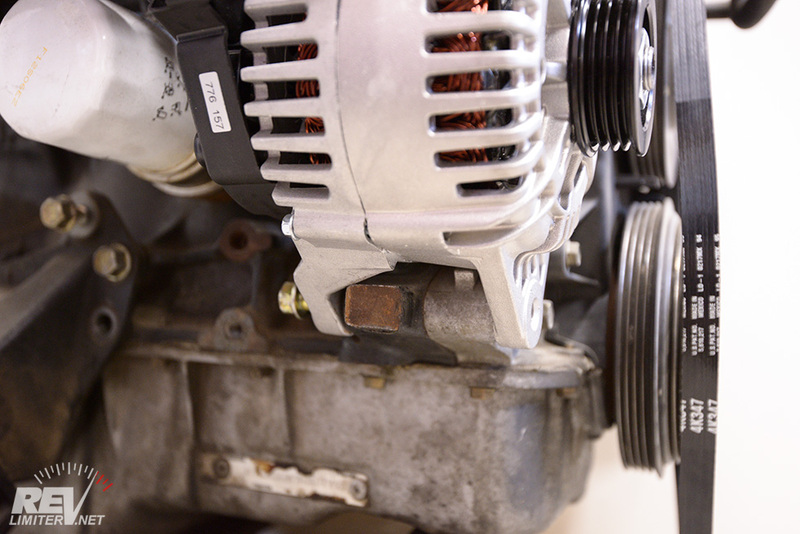 I’ll say this – a new belt is TIGHT, even with the stock alternator. You can barely slip it on with the alt adjusted all the way toward the engine. Note the bottom clearance and position of the terminals. 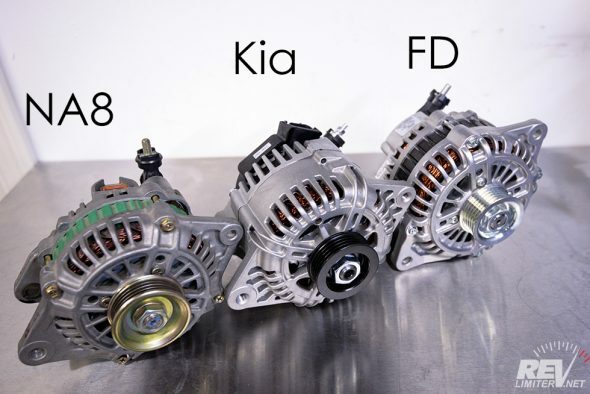 The FD and Kia units are different. 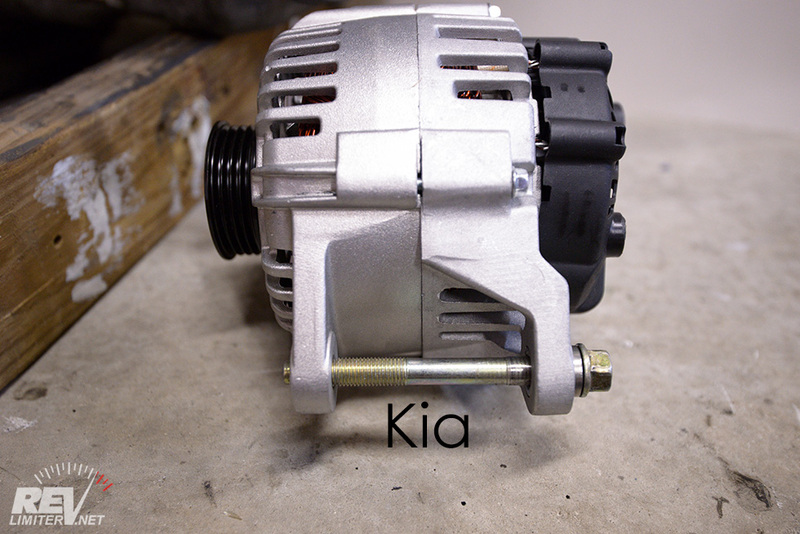 At first glance, the Kia looks pretty good, but the diagonal support on the mounting bolts keeps the alternator from adjusting at all. NO MOVEMENT. Zero. It mounts up, but it cannot slide on the stock adjuster bolt without hacking it up. Not that the adjuster works anyway. The Kia alt has a threaded top hole where it would mount to the adjuster in a Miata. 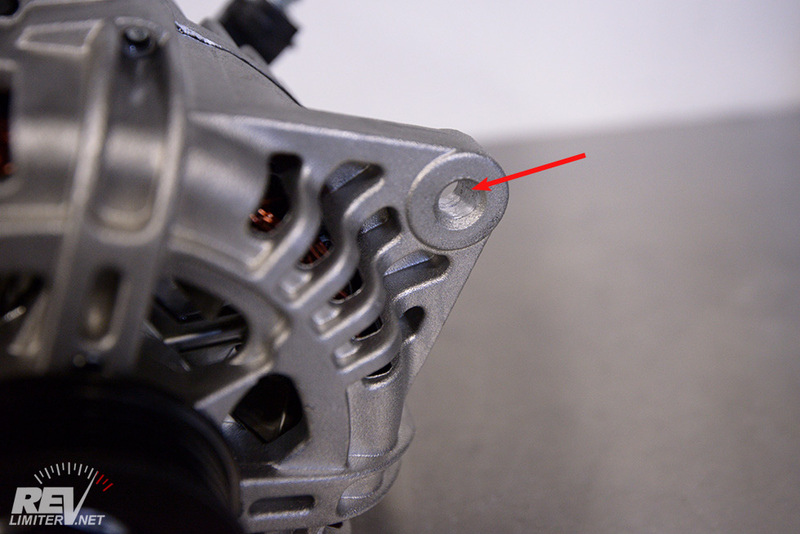 That needs to be drilled out so the bolt can rotate freely. The terminals are in a nice place, but the 2 post plug does not allow the OEM Miata socket to click into place. It’ll either be loose or you need something to hold it on with. Also, the post (the 12v output… what’s the actual name for it?) is small. You’ll need a new nut for it. The good news: 4 rib pulley and the stock lower alternator bolt works. As loose as it goes. At first glance, the FD alternator seems like a worse fit than the Kia. Fortunately, that’s not the case. 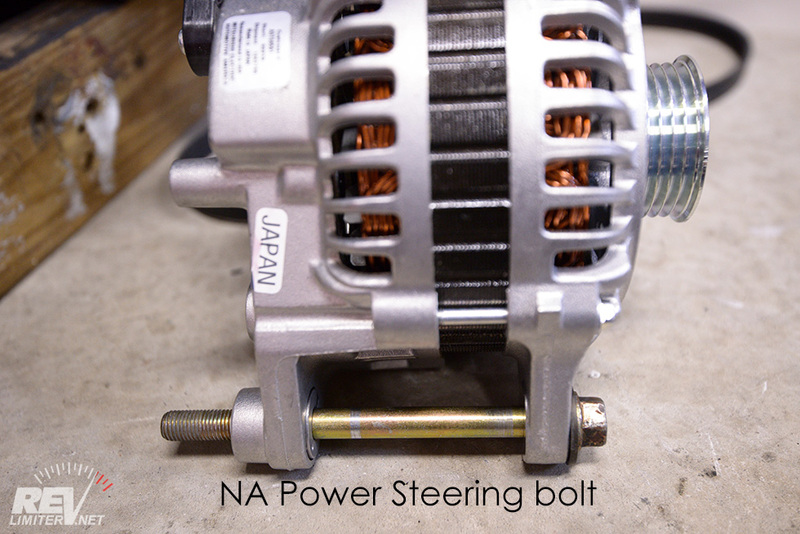 The stock lower bolt doesn’t work, but the bolt that mounts the NA power steering works fine. 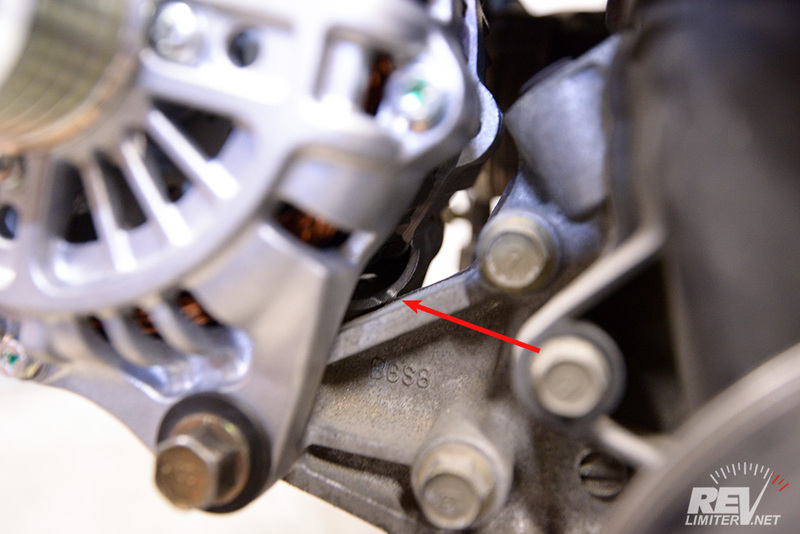 You just need to add 2 washers to space the bolt back slightly (though only one is shown in the pic). You could also thread the bolt a bit lower with a tap and die. I chose to use washers. The terminals on this alt seem to be way up near the top of the motor and not in a great place, but they actually work great. The main post is much easier to get the hot wire onto at this angle than the OEM alt makes it. And the 2 post terminal clicks on like it was meant to. The case needs a bit of modification for it to work well on the Miata block. There’s several bits that stick out and hit the block, thus keeping the alt from getting loose enough to slip a stock belt onto. Then there’s the 5 rib thing. It’s not a worry. I’ve got a bolt on the inner 4 ribs and it’s working well. It aligns perfectly. Step 1: Have your robot convert to laser mode. Step 2: Tell the robot the Kia alt insulted his mother. This is a pretty straightforward modification. You just need to blast some of the angled support away from that real mounting tab. 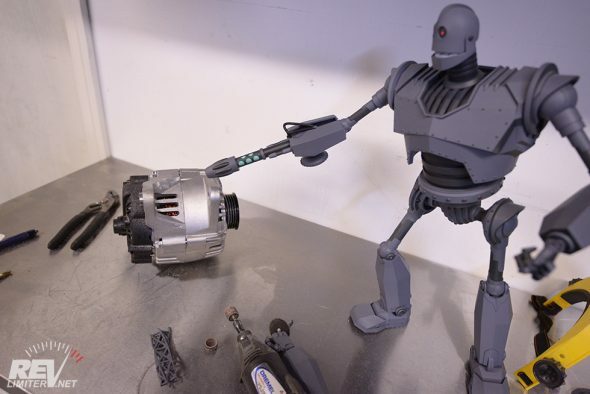 I used a bench grinder after Iron Giant was done with it. You also need to drill out the top hole. I sadly neglected to measure the bit I was using. Note: always wear eye protection when grinding metal! The good news: It fits your Miata!!! 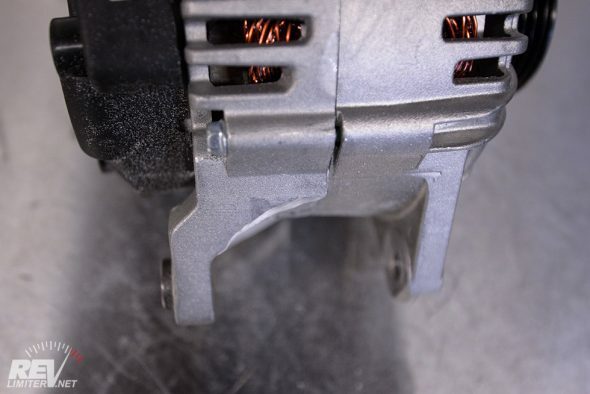 The bad news: You cannot return this alternator in the event that it’s bad. This is a brand new alternator. It’s not rebuilt. That was one of the selling points to me. It was awesome that it was 10 amps stronger than the FD, but the fact that it was NEW? 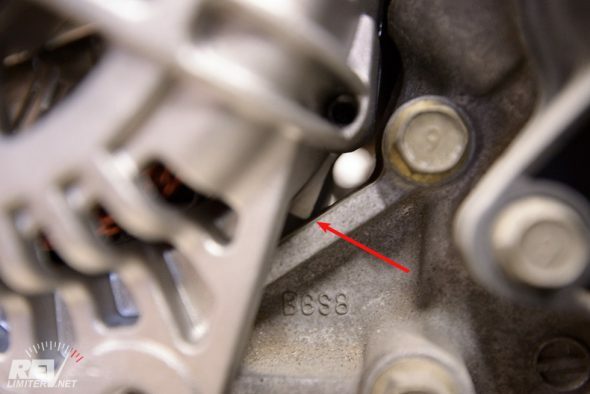 Not a reman? Yes sir. Sign me up. I bought this bad boy from amazon with a smile. My Kia alt could not regulate its voltage for anything. It would start out at 13.5 when cold and get up to 14.2ish on the freeway. Then it would lower as RPMs got lower. I’d see it putting out anywhere from high 13s to 13.1. 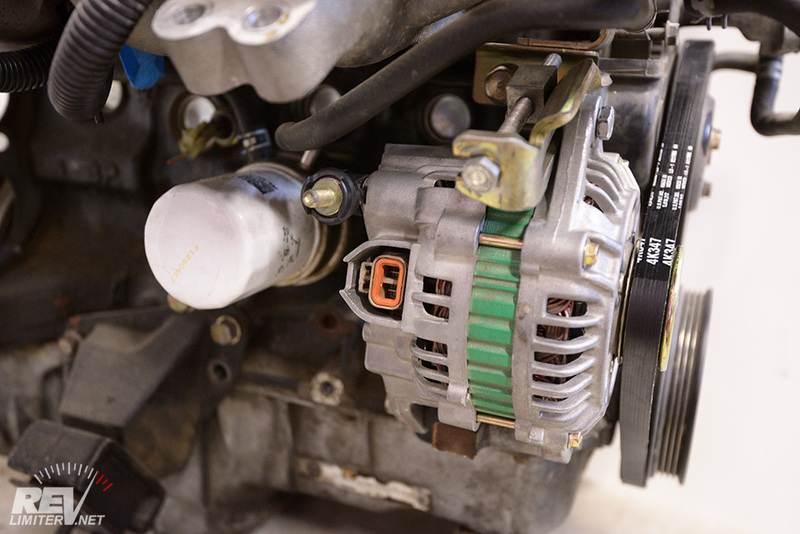 When this alternator was hot, it would only spit out 12.8 volts. And it would nearly kill the engine at idle if a cooling fan turned on. 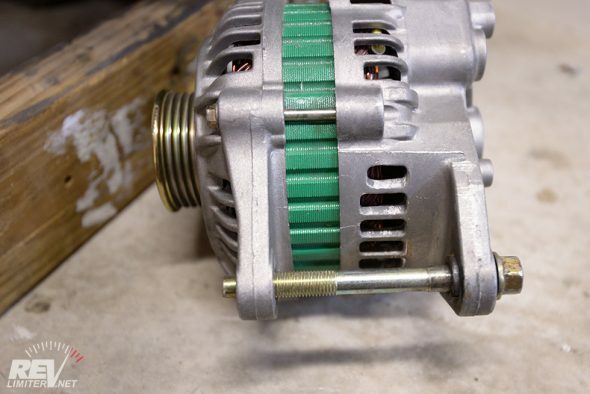 My tired stock alternator did better than that. This alt seemed at first to need much more modification for it to work. I don’t know why, it just seemed a bit intimidating to me. Fortunately, it hacked up beautifully. After slicing off that protruding bit on the housing, the alternator still didn’t adjust much. Another part of the case was hitting the block (2nd arrow in the lower pic). More grinding. Then more… then more. Finally, I got it to where you see in the arrow pic and it works great. 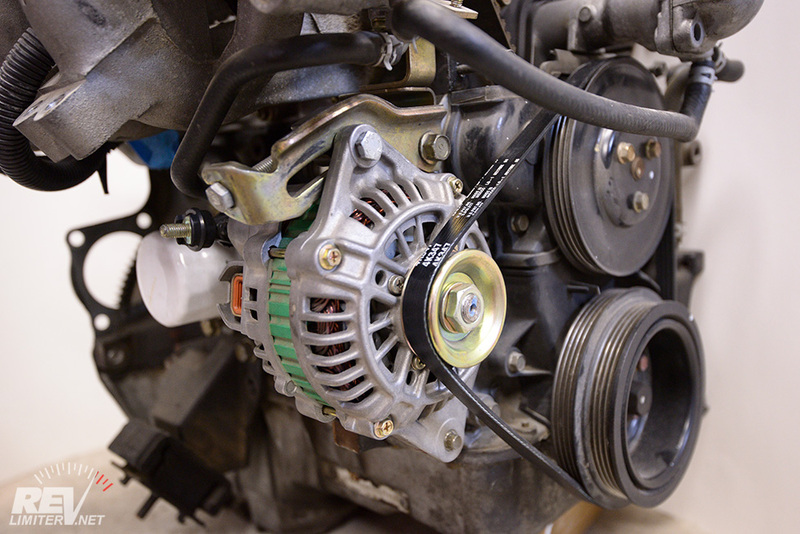 The FD alternator I have is a reman. It’s a Japanese alt made and rebuilt by Mitsubishi. And it looks fantastic. Very clean. Of course, all rebuilt ones start out that way. Who knows what they actually replaced inside the case. 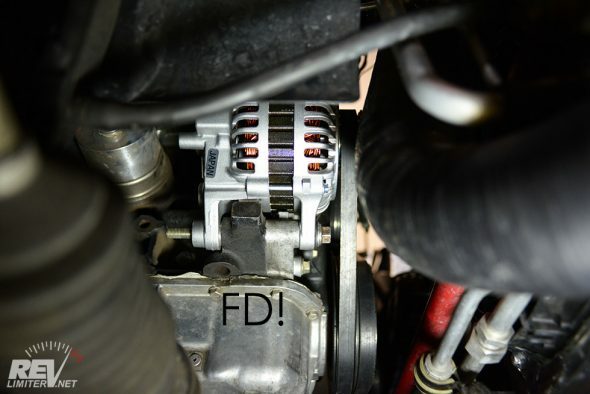 I’m happy to say, this FD alternator is quite good. It takes it a few seconds to excite, which is odd to me. I’ve never had an alt that didn’t just start spitting power out when the car was turned on. This one needs about 3-5 seconds after ignition. It puts out a steady 14.1 volts. It puts out about 13.7 volts when hot. I’ve not seen any bad idle behavior when the fans kick on. And did I mention how nicely the electrical connections plugged in? SO much nicer than that Kia one. Like it was meant to be in there. So. Happy ending! Sharka has a working FD alternator under the hood and the internet now has 30 pix documenting the process. I hope this helps folks out. And if you’ve got more info to share, please leave a comment below. I haven’t even finished reading this post. I just scrolled down to say “Thank you”. Scrolling up now. 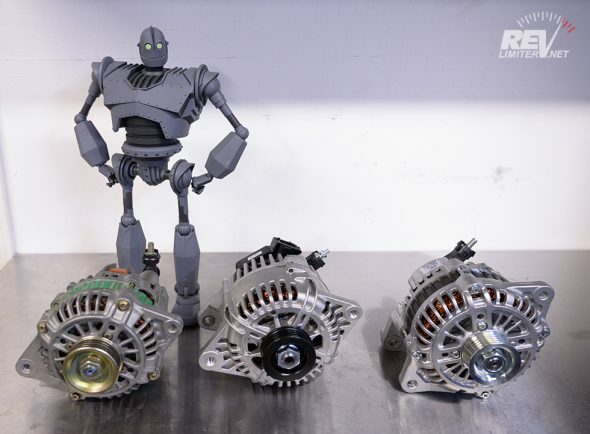 Where did you buy the FD alternator Adam? 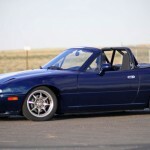 Very nice upgrade for a miata na. Amazon. There were a few on there. I picked the Mitsubishi built one. Great writeup , very informtive as usual. 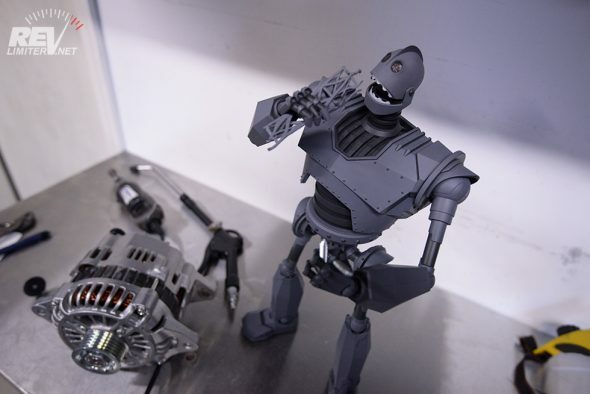 Love the Iron giant too. I’m going to be swapping a 99 engine into a 90 chassis soon and was wondering if the fd alternator would be a good alternative to me buying a na1.8 alt since the nb alternators aren’t self regulating. Sure! 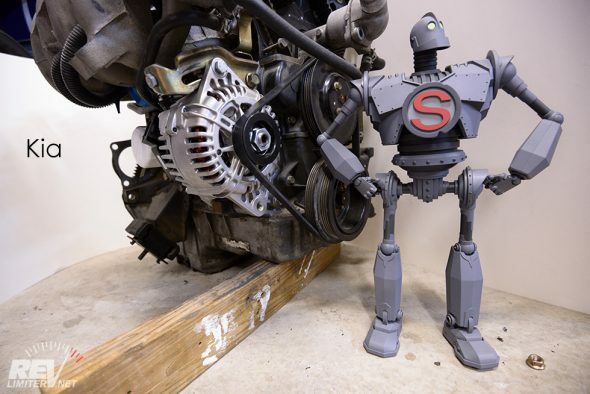 You’ll need some kind of different alternator. Might as well get a beefy one. 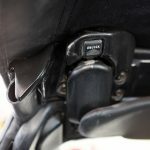 I’ve seen the threads on miataturbo (and you posting on it!) 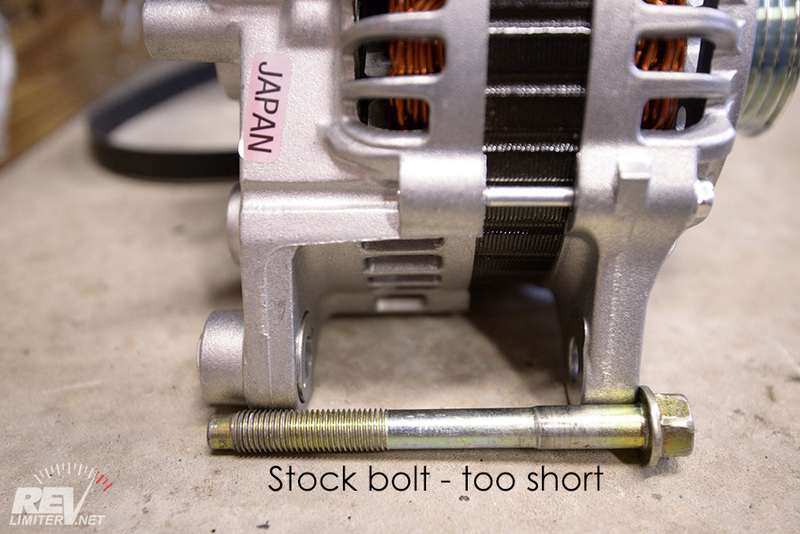 and tried to install a reman FD RX7 alternator on my ’95 1.8, but the spacing of the alternator where the lower bolt goes was about 1/16″ too narrow and would not even fit over the block. 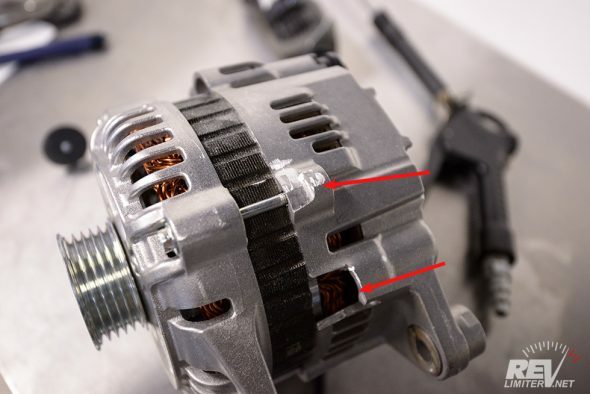 My guess is because the flange was too thick on the pivot bushing they used for reman, but the easiest option was to take an angle grinder to the other ear of the alternator. I still haven’t test fitted as I also need the longer bolt, but I thought my comment could be a word of warning to those gambling on random reman alternators off of Amazon (mine was specific for a 1993 RX7 but was still not Miata friendly). Mine was too wide on that lower flange. It snugged up when I tightened the lower bolt, but I’d considered slipping a washer in there between the flange and tab to take up the space. 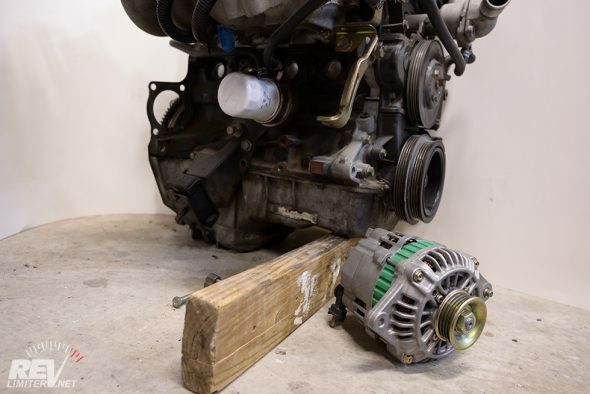 I wonder if there’s different specs of RX7 alternator? Love the photography Adam, thanks for sharing such good info here! Makes me wonder what in the world I would need the output of the alt I put on the Supra… If I recall, it’s either 200 amp or 240. Would almost be curious in figuring out just how much of that gets used. Holy crap. 200ish amps? Are they assuming every owner will be entering car stereo competition? And here I am happy about my piddly 100A unit. Well, I’m no stranger to having a decent stereo in a Supra, but I don’t think I’ve ever even scratched that level of output… I like my hearing haha. This is a great replacement for the NA6. The FC fits the NA6 cars???? Wow. Someone asked me about that just the other day. I didn’t realize. Thanks for the post !! Very informative but there is no information about electrical connections. Sorry but I have no idea. I’ve never owned a 1.6 Miata. The stuff I blog about is generally just my own cars, which are 1.8s. 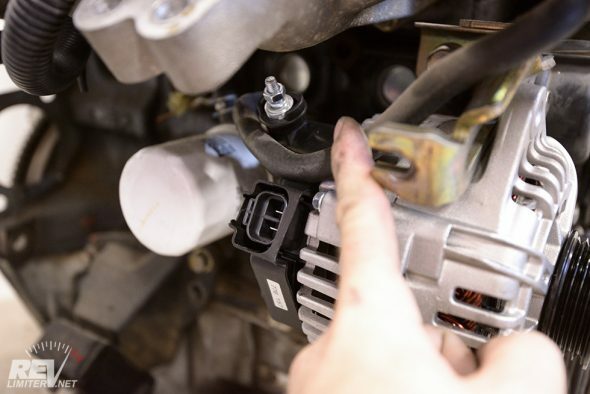 The factory connector for a 1.8 plugged into all of these alternators. That´s perfect because 1.6 and 1.8 alternator loom is the shame. Thanks ! 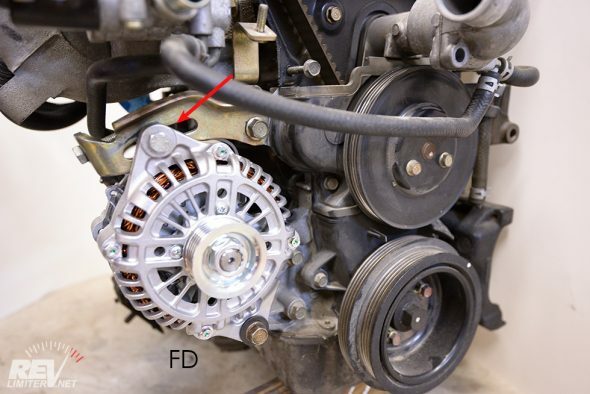 Any chance the FD would work on an NB, or anyone know of good replacements for the NB alternator? The NB has the regulator built into the ECU. 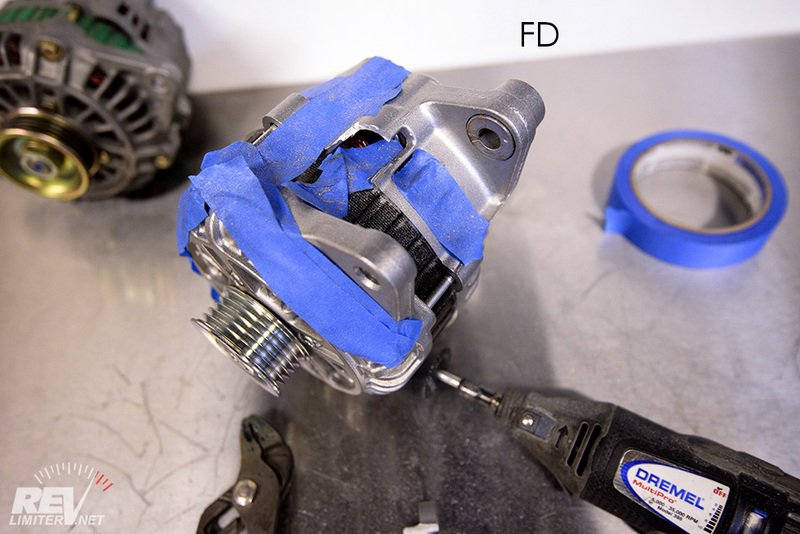 The NA (and FD) have it as part of the alternator. So if you wanna change your ECU, an FD alt is an option. If you’re keeping the stock computer… I have no idea what’s an option for alternator upgrade. Well done as usual, Adam. Is there any downside to this? 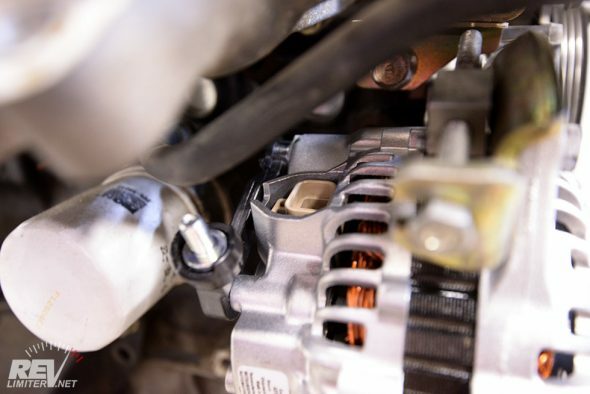 Does the car burn any more fuel using the RX-7 alternator? Did you upgrade the wires in the harness/upgrade the main fuse?